For the Maliki scholar, see Abu Bakr ibn al-Arabi. Ibn ʿArabi (Arabic: إبن عربـي‎) (26 July 1165 – 16 November 1240), full name Abū ʿAbd Allāh Muḥammad ibn ʿAlī ibn Muḥammad ibnʿArabī al-Ḥātimī aṭ-Ṭāʾī (Arabic: أبو عبد الله محـمـد بن علي بن محمـد إبن عربـي الحاتمي الطائي‎), was an Arab Andalusian Muslim scholar, mystic, poet, and philosopher, whose works have grown to be very influential beyond the Muslim world. Of the over 800 works which are attributed to him, 100 survive in the original manuscript. His cosmological teachings became the dominant worldview in many parts of the Islamic world. 'Abū 'Abdullāh Muḥammad ibn 'Alī ibn Muḥammad ibn `Arabī al-Ḥātimī aṭ-Ṭāʾī (أبو عبد الله محمد ابن علي ابن محمد ابن عربي الحاتمي الطائي) was a Sufi mystic, poet, and philosopher born in Murcia, Spain on the 17th of Ramaḍān (26 July 1165 AD). He is renowned among practitioners of Sufism by the names al-Shaykh al-Akbar ("the Great Shaykh"), Muḥyiddin ibn Arabi, and was considered a saint. He was also known as Shaikh-e-Akbar Mohi-ud-Din Ibn-e-Arabi throughout the Middle East. Ibn Arabi was Sunni, although his writings on the Twelve Imams were also popularly received among Shia. It is debated whether or not he ascribed to the Zahiri madhab. After his death, Ibn Arabi's teachings quickly spread throughout the Islamic world due to the soundness of his arguments. His writings were not limited to the Muslim elites, but made their way into the lower ranks of society through the widespread reach of the Sufi orders. Arabi's work also popularly spread through the poetic languages of Persian, Turkish, and Urdu. Many popular poets were trained in the Sufi orders and were inspired by Arabi's concepts. Ibn Arabi was of mixed parentage. His father was an Arab who belonged to the prominent Arabian tribe of Tayy, while his mother came from a Berber family with ties to North Africa. In his writings, Al-Arabi mentions a deceased maternal uncle, Yahya ibn Yughan al-Sanhaji, who was a wealthy prince of the city of Tlemcen, but had left that position to lead a life of spirituality after encountering a Sufi mystic. His father, ‘Ali ibn Muḥammad, served in the Army of Muhammad ibn Sa'id ibn Mardanish, the ruler of Murcia. When Ibn Mardanīš died in 1172 AD, his father shifted his allegiance to the Almohad Sultan, Abū Ya’qūb Yūsuf I, and again went into government service. His family then relocated from Murcia to Seville. Ibn Arabi grew up among the ruling court and received military training. As a young adult Ibn Arabi was secretary to the governor of Seville. He had married a woman by the name Maryam who was from an influential family. Ibn Arabī states in his writings he received no unusual religious education as a child, but rather spent much time with friends enjoying childhood. It was in his teens when he had a vision of God, later writing that initial experience as "the differentiation of the universal reality comprised by that look". He states having had several visions of Jesus, calling him his first guide to the path of God. His father noticed this change in him and mentioned it to philosopher and judge, Ibn Rushd (Averroes). Averroes requested to meet with Ibn Arabi, and it was this initial meeting when Ibn Arabi perceived a big difference existing between formal knowledge of rational thinkers and the unveiling of true insights into the nature of things. He adopted Sufism and dedicated his life to the spiritual path. His spiritual mentor in Fes was Mohammed ibn Qasim al-Tamimi. In the year 1200, he was in Morocco and took his final leave from his master Yūsuf al-Kūmī, who was living in the village of Salé at that time. Ibn Arabi left Spain for the first time at age 36 and arrived at Tunis in 1193. While there, he received a vision in year 1200 instructing him to journey east. After a year in Tunis, Ibn Arabi back to Andalusia in 1194. His father died soon after he arrived at Seville, followed by his mother some months latter. He than left his Spain for the second time with his two sisters and arriving at Fez, Morocco in 1195. After returning to Córdoba, Spain in 1198, Ibn Arabi cross the strait of Gibraltar for the third time in 1200 and left Spain forever. After visiting some places in Maghreb, he left Tunis in 1201 and arriving for the Hajj in 1202. He lived in Mecca for three years. It was in Mecca that he started writing his work Al-Futūḥāt al-Makkiyya (الفتوحات المكية, "The Meccan Illuminations"). Mediaeval list of Ibn Arabi's books. After spending time in Mecca, he traveled throughout Syria, Palestine, Iraq and Anatolia. In the year 1206 he visited Jerusalem, Mecca and Egypt. It was his first time that he passed through Syria, visiting Aleppo and Damascus. The next four to five years of Ibn Arabī's life were spent in these lands and he also kept travelling and holding the reading sessions of his works in his own presence. On 22 Rabī‘ al-Thānī 638 AH (8 November 1240) at the age of seventy-five, Ibn ‘Arabī died in Damascus. Although Ibn Arabi stated on more than one occasion that he did not prefer any one of the schools of Islamic jurisprudence, he was responsible for copying and preserving books of the Zahirite or literalist school, to which he has been ironically and erroneously ascribed. Ibn Arabi shared Ghazali's views that Islamic law was only a temporary means to a higher goal, eschewing the heavy focus on worldly matters such as financial transactions and regulations regarding clothing. Ibn Arabi did delve into specific details at times, and was known for his view that religiously binding consensus could only serve as a source of sacred law if it was the consensus of the first generation of Muslims who had witnessed revelation directly. The doctrine of perfect man (Al-Insān al-Kāmil) is popularly considered an honorific title attributed to Muhammad having its origins in Islamic mysticism, although the concept's origin is controversial and disputed. Arabi may have first coined this term in referring to Adam as found in his work Fusus al-hikam, explained as an individual who binds himself with the Divine and creation. Taking an idea already common within Sufi culture, Ibn Arabi applied deep analysis and reflection on the concept of a perfect human and one's pursuit in fulfilling this goal. In developing his explanation of the perfect being, Ibn Arabi first discusses the issue of oneness through the metaphor of the mirror. In this philosophical metaphor, Ibn Arabi compares an object being reflected in countless mirrors to the relationship between God and his creatures. God's essence is seen in the existent human being, as God is the object and human beings the mirrors. Meaning two things; that since humans are mere reflections of God there can be no distinction or separation between the two and, without God the creatures would be non-existent. When an individual understands that there is no separation between human and God they begin on the path of ultimate oneness. The one who decides to walk in this oneness pursues the true reality and responds to God's longing to be known. The search within for this reality of oneness causes one to be reunited with God, as well as, improve self-consciousness. The perfect human, through this developed self-consciousness and self-realization, prompts divine self-manifestation. This causes the perfect human to be of both divine and earthly origin. Ibn Arabi metaphorically calls him an Isthmus. Being an Isthmus between heaven and Earth, the perfect human fulfills God's desire to be known. God's presence can be realized through him by others. Ibn Arabi expressed that through self manifestation one acquires divine knowledge, which he called the primordial spirit of Muhammad and all its perfection. Ibn Arabi details that the perfect human is of the cosmos to the divine and conveys the divine spirit to the cosmos. Ibn Arabi further explained the perfect man concept using at least twenty-two different descriptions and various aspects when considering the Logos. He contemplated the Logos, or "Universal Man", as a mediation between the individual human and the divine essence. Ibn Arabi believed Muhammad to be the primary perfect man who exemplifies the morality of God. Ibn Arabi regarded the first entity brought into existence was the reality or essence of Muhammad (al-ḥaqīqa al-Muhammadiyya), master of all creatures, and a primary role-model for human beings to emulate. Ibn Arabi believed that God's attributes and names are manifested in this world, with the most complete and perfect display of these divine attributes and names seen in Muhammad. Ibn Arabi believed that one may see God in the mirror of Muhammad. He maintained that Muhammad was the best proof of God and, by knowing Muhammad, one knows God. Ibn Arabi also described Adam, Noah, Abraham, Moses, Jesus, and all other prophets and various Awliya Allah (Muslim saints) as perfect men, but never tires of attributing lordship, inspirational source, and highest rank to Muhammad. Ibn Arabi compares his own status as a perfect man as being but a single dimension to the comprehensive nature of Muhammad. Ibn 'Arabi makes extraordinary assertions regarding his own spiritual rank, but qualifying this rather audacious correlation by asserting his "inherited" perfection is only a single dimension of the comprehensive perfection of Muhammad. Ibn Arabi described Jesus as the spirit, and simultaneously a servant, of God. Jesus is held to be "one with God" in whole coincidence of his will with God's will. Due to the spirit of God dwelling in Jesus, God spoke and acted through him. Ibn Arabi describes Jesus as a person within God's word and spirit and a manifestation of God's attributes, like a mirror. Muslim scholars[which?] have often held strong, polarized views regarding the viewpoints and character of Ibn Arabi. Many[who?] have declared Ibn Arabi to be the foremost spiritual leader and Sufi master in Muslim history. Others[who?] regarded him as a heretic or even an apostate.. Very few scholars have had neutral or lukewarm reactions. 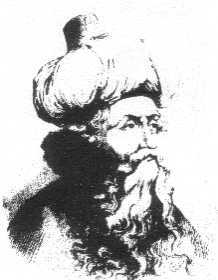 The reaction of Ibn 'Abd as-Salam, a Muslim scholar respected by both Ibn Arabi's supporters and detractors, has been of note due to disputes over whether he himself was a supporter or detractor. All parties have claimed to have transmitted Ibn 'Abd as-Salam's comments from his student Ibn Sayyid al-Nas, yet the two sides have transmitted very different accounts. Ibn Taymiyyah, Al-Dhahabi and Ibn Kathir all transmitted Ibn 'Abd as-Salam's comments as a criticism, while Fairuzabadi, Al-Suyuti, Ahmed Mohammed al-Maqqari and Yusuf an-Nabhani have all transmitted the comments as praise. Some 800 works are attributed to Ibn Arabi, although only some have been authenticated. Recent research suggests that over 100 of his works have survived in manuscript form, although most printed versions have not yet been critically edited and include many errors. The Meccan Illuminations (Al-Futūḥāt al-Makkiyya), his largest work in 37 volumes originally and published in 4 or 8 volumes in modern times, discussing a wide range of topics from mystical philosophy to Sufi practices and records of his dreams/visions. It totals 560 chapters. The Ringstones of Wisdom (also translated as The Bezels of Wisdom), or Fusus al-Hikam. Composed during the later period of Ibn 'Arabi's life, the work is sometimes considered his most important and can be characterized as a summary of his teachings and mystical beliefs. It deals with the role played by various prophets in divine revelation. The attribution of this work (Fusus al-Hikam) to Ibn Arabi is debated and in at least one source is described as a forgery and false attribution to him reasoning that there are 74 books in total attributed to Sheikh Ibn Arabi of which 56 have been mentioned in "Al Futuhat al-Makkiyya" and the rest mentioned in the other books cited therein. However many other scholars accept the work as genuine. The Dīwān, his collection of poetry spanning five volumes, mostly unedited. The printed versions available are based on only one volume of the original work. The Holy Spirit in the Counselling of the Soul (Rūḥ al-quds), a treatise on the soul which includes a summary of his experience from different spiritual masters in the Maghrib. Part of this has been translated as Sufis of Andalusia, reminiscences and spiritual anecdotes about many interesting people whom he met in al-Andalus. Contemplation of the Holy Mysteries (Mashāhid al-Asrār), probably his first major work, consisting of fourteen visions and dialogues with God. The Book of Annihilation in Contemplation (K. al-Fanā' fi'l-Mushāhada), a short treatise on the meaning of mystical annihilation (fana). Devotional Prayers (Awrād), a widely read collection of fourteen prayers for each day and night of the week. Journey to the Lord of Power (Risālat al-Anwār), a detailed technical manual and roadmap for the "journey without distance". The Interpreter of Desires (Tarjumān al-Ashwāq), a collection of nasībs which, in response to critics, Ibn Arabi republished with a commentary explaining the meaning of the poetic symbols. Divine Governance of the Human Kingdom (At-Tadbidrat al-ilahiyyah fi islah al-mamlakat al-insaniyyah). In 629 AH the first draft of al-Futūḥāt al-Makkiyya was completed. Hundreds of manuscripts of this work exist in various libraries of the world, the most important of them being the manuscript of Konya, written by its author. Three years later in 632 AH, on the first of Muḥarram, Ibn ‘Arabī embarked on a second draft of the Futūḥāt; this he explained, included a number of additions and a number of deletions as compared with the previous draft. This revision completed in the year 636 (Addas 286). After completion of this 2nd draft, he started teaching it to his disciples. Dr. Osman Yahia has mentioned hundreds of these hearings or public readings that occur between the year 633 AH and 638 AH. The first successful attempt at translating al-Futuhat al-Makkiyya was made by Muhammad Fazal Khan Changwi (1868–1938), who started publishing his translation in 1913 in installments of 100 pages each, which had to be stopped in 1927 due to lack of funds. By then 18 Parts which comprise 30 Chapters had been published. The second impression of this translation is available. The second volume of this translation was published in 2013 under the title: Futuhat-i Makkiyya. Part 2. From Parah 18 to Parah 27 (Bab 30 to Bab 63). There have been many commentaries on Ibn 'Arabī's Fuṣūṣ al-Ḥikam: the first, al-Fukūk, was written by his stepson and heir, Ṣadr al-Dīn al-Qunawī, who had studied the book with Ibn 'Arabī; the second by Qunawī's student, Mu'ayyad al-Dīn al-Jandi, which was the first line-by-line commentary; the third by Jandī's student, Dawūd al-Qaysarī, which became very influential in the Persian-speaking world. There were many others, in the Ottoman world (e.g., 'Abdullah al-Bosnawī), the Arab world (e.g., 'Abd al-Ghanī al-Nabulusī) and the Persian world (e.g., Haydar Āmolī). It is estimated that there are over fifty commentaries on the Fuṣūṣ, most of which only exist in manuscript form. The more famous (such as Qunawī's Fukūk) have been printed in recent years in Iran. A recent English translation of Ibn 'Arabī's own summary of the Fuṣūṣ, Naqsh al-Fuṣūṣ (The Imprint or Pattern of the Fusus) as well a commentary on this work by 'Abd al-Raḥmān Jāmī, Naqd al-Nuṣūṣ fī Sharḥ Naqsh al-Fuṣūṣ (1459), by William Chittick was published in Volume 1 of the Journal of the Muhyiddin Ibn 'Arabi Society (1982). The Fuṣūṣ was first critically edited in Arabic by 'Afīfī (1946). The first English translation was done in partial form by Angela Culme-Seymour from the French translation of Titus Burckhardt as Wisdom of the Prophets (1975), and the first full translation was by Ralph Austin as Bezels of Wisdom (1980). There is also a complete French translation by Charles-Andre Gilis, entitled Le livre des chatons des sagesses (1997). The only major commentary to have been translated into English so far is entitled Ismail Hakki Bursevi's translation and commentary on Fusus al-hikam by Muhyiddin Ibn 'Arabi, translated from Ottoman Turkish by Bulent Rauf in 4 volumes (1985–1991). In Urdu, the most widespread and authentic translation was made by Shams Ul Mufasireen Bahr-ul-uloom Hazrat (Muhammad Abdul Qadeer Siddiqi Qadri -Hasrat), the former Dean and Professor of Theology of the Osmania University, Hyderabad. It is due to this reason that his translation is in the curriculum of Punjab University.Maulvi Abdul Qadeer Siddiqui has made an interpretive translation and explained the terms and grammar while clarifying the Shaikh's opinions. A new edition of the translation was published in 2014 with brief annotations throughout the book for the benefit of contemporary Urdu reader. A new Critical Edition of Fusus al-Hikam has been published by Ibn al-Arabi Foundation in 2015, this edition is based on the beautiful manuscript written by Shaykh Sadr al-Din al-Qunawi and verified by Shaykh al-Akbar Ibn al-Arabi himself. Along with this the editor also consluted 6 of the most ancient and historic manuscripts of Fusus available today. This new Edition also contains one of the best available translation of Fusus al Hikam in Urdu, by Abrar Ahmed Shahi, who has consulted more than 7 Commentaries and several other previous translations in order to translate the ideas correctly. He has also translated and published more than 25 works of Ibn al-Arabi. As of this edit, this article uses content from "A Concise biography of Ibn 'Arabi", which is licensed in a way that permits reuse under the Creative Commons Attribution-ShareAlike 3.0 Unported License, but not under the GFDL. All relevant terms must be followed. ^ Chittick, William C. (April 2007). Ibn 'Arabi: Heir to the Prophets. Oxford: Oneworld Publications. p. 1. ISBN 978-1851685110. ^ a b c d e f "The Meccan Revelations". World Digital Library. 1900–1999. Retrieved 2013-07-14. ^ Hossein Nasr, Seyyed (1 Jan 1999). Sufi Essays. Chicago: Kazi Publications, Inc. p. 116. ISBN 978-1871031416. It is well known that Ibn 'Arabi, from the point of view of his madhhab was a Sunni...but it is also known that he wrote a treatise on the twelve Shiite imams which has always been popular among Shiites. ^ Chodkiewicz, Michel (1993). An Ocean Without Shore: Ibn Arabi, the Book, and the Law. SUNY Press. p. 55. ISBN 978-0791416259. ^ Chittick 2007, p. 2-3. ^ "Ibn al-ʿArabī | Muslim mystic". Encyclopedia Britannica. ^ Hirtenstein, Stephen C. (September 1999). The Unlimited Mercifier: The Spiritual Life and Thought of Ibn 'Arabi. p. 252. ISBN 978-1905937387. ^ a b c Chittick 2007, p. 4. ^ a b Chittick 2007, p. 5. ^ John Renard (18 May 2009). Tales of God's Friends: Islamic Hagiography in Translation. University of California Press. p. 35. ISBN 978-0-520-25896-9. Retrieved 11 February 2012. ^ Addas, Claude (2019). Ibn Arabi: The Voyage of No Return (Second ed.). Cambridge: Islamic Texts Society. p. 51. ISBN 9781911141402. ^ a b Hirtenstein, Stephen (1999). The Unlimited Mercifier, The Spiritual life and thought of Ibn 'Arabi. Anqa Publishing & White Cloud Press. ISBN 978-0953451326. ^ Chiragh Ali, The Proposed Political, Legal and Social Reforms. Taken from Modernist Islam 1840-1940: A Sourcebook, pg. 281. Edited by Charles Kurzman. New York City: Oxford University Press, 2002. ^ Fitzpatrick, Coeli; Walker, Adam Hani (2014). Muhammad in History, Thought, and Culture. Santa Barbara, California: ABC-CLIO. p. 440. ISBN 978-1610691772. ^ a b c d Little, John T. (January 1987). "AL-INSĀN AL-KĀMIL: THE PERFECT MAN ACCORDING TO IBN AL-'ARAB?". The Muslim World. 77 (1): 43–54. doi:10.1111/j.1478-1913.1987.tb02785.x. ^ Dobie, Robert J.date=17 November 2009 (2010). Logos and Revelation: Ibn 'Arabi, Meister Eckhart, and Mystical Hermeneutics. Washington, D.C.: The Catholic University of America Press. p. 225. ISBN 978-0813216775. For Ibn Arabi, the Logos or "Universal Man" was a mediating link between individual human beings and the divine essence. ^ Bennett, Clinton (2008). Understanding Christian-Muslim Relations: Past and Present. London: Continuum. p. 152. ISBN 978-0826487834. ^ Leirvik, Oddbjørn (27 May 2010). Images of Jesus Christ in Islam: 2nd Edition. New York: Bloomsbury Academic; 2nd edition. p. 97. ISBN 978-1441181602. ^ "Ibn Arabi (560-638/1165-1240)". Cis-ca.org. Retrieved 2018-11-05. ^ Futuhat-i Makkiyya. Part 2. From Parah 18 to Parah 27 (Bab 30 to Bab 63) Translated by) Maulavi Muhammad Fazal Khan and Muniruddin Ahmed. Fazli Books. Kummerfeld. Germany. 412 Pages. ^ "Journal of the Muhyiddin Ibn 'Arabi Society". Ibnarabisociety.org. Retrieved 2018-11-05. ^ "Angela Culme-Seymour". The Daily Telegraph. February 3, 2012. ^ Sultan al-Mansub, Abd al-Aziz; Shahī, Abrar Ahmed, eds. (2015). Fusus al-Hikam. translator: Abrar Ahmed Shahi. Ibn al-Arabi Foundation. Chopra, R. M., "SUFISM" (Origin, Growth, Eclipse, Resurgence), 2016, Anuradha Prakashan, New Delhi. ISBN 978-93-85083-52-5. This is a small selection of his many books. Ibn ‘Arabī. Al-Futūḥāt al-Makkiyya, Vols. 1–4. Beirut: n.p. ; photographic reprint of the old edition of Bulaq 1329/1911 which comprises four volumes each about 700 pages of 35 lines; the page size is 20 by 27cm. Print. Ibn ‘Arabī, Ibrāhīm Madkūr, and ʻUthmān Yaḥyá. Al-Futūḥāt al-Makkiyya, Vols. 1–14,. al-Qāhirah: al-Hayʼah al-Miṣrīyah al-ʻĀmmah lil-Kitāb, 1972. Print. this is the critical edition by Osman Yahya. This version was not completed, and the 14 volumes correspond to only volume I of the standard Bulaq/Beirut edition. Ibn ‘Arabī, Fuṣūṣ al-Ḥikam. Beirut: Dar al-Kitab al-'Arabī. Print. Ibn ‘Arabī. Sharḥ Risālat Rūḥ Al-quds fī Muḥāsabat Al-nafs. Comp. Mahmud Ghurab. 2nd ed. Damascus: Naḍar, 1994. Print. Ibn ‘Arabī. Inshā’ al-Dawā’ir, Beirut: Dar al-kutub al-‘Ilmiyya. 2004. Print. Ibn ‘Arabī. Rasā’il Ibn ‘Arabī (Ijāza li Malik al-Muẓaffar). Beirut: Dar al-kutub al-‘Ilmiyya, 2001. Print. Ibn ‘Arabī. Rasā'il Ibn al-'Arabî (Kitāb al-Jalāla). Hyberadad-Deccan: Dā’irat al-Ma‘ārif al-‘Uthmāniyya, 1948. Print. Ibn ‘Arabī. Kitāb al Bā’. Cairo: Maktabat al-Qāhira, 1954. Print. Ibn ‘Arabī, Risālat ila Imām al-Rāzī. Hyberadad-Deccan: Dā’irat al-Ma‘ārif al-‘Uthmāniyya, 1948. Print. Ibn, Arabi (1997). Divine Governance of the Human Kingdom. Translated by Tosun Bayrak. Fons Vitae. ISBN 9781887752053. Ibn, Arabi (1992). What the Seeker Needs: Essays on Spiritual Practice, Oneness, Majesty and Beauty, with Ibn ʻArabi's Glossary of 199 Sufi Technical Terms. Translated by Tosun Bayrak. University of Virginia: Threshold Books. ISBN 9780939660414. Ibn ‘Arabī. Nasab al-Khirqa. Trans. Gerald Elmore. Vol. XXVI. Oxford: Journal of the Muhyiddin Ibn ‘Arabi Society, 1999. Print. Ibn ‘Arabī. Divine Sayings The Mishkāt Al-Anwār of Ibn 'Arabi. Oxford: Anqa, 2005. Print. Akkach, Samer, Ibn 'Arabî's Cosmogony and the Sufi Concept of Time, in: Constructions of Time in the Late Middle Ages, ed. Carol Poster and Richard Utz. Evanston, IL: Northwestern University Press, 1997. Pp. 115-42. Henry Corbin, Alone with the Alone; Creative Imagination in the Sūfism of IbnʿArabī, Bollingen, Princeton 1969, (reissued in 1997 with a new preface by Harold Bloom). Elmore, Gerald T. Ibn Al-'Arabī’s Testament on the Mantle of Initiation (al-Khirqah). Journal of the Muhyiddin Ibn ‘Arabi Society XXVI (1999): 1-33. Print. Elmore, Gerald T. Islamic Sainthood in the Fullness of Time: Ibn Al-‘Arabī's Book of the Fabulous Gryphon. Leiden: Brill, 1999. Print. Hirtenstein, Stephen (1999). The Unlimited Mercifier, The Spiritual life and thought of Ibn 'Arabi. Anqa Publishing & White Cloud Press. ISBN 978-0953451326. Hirtenstein, Stephen, and Jane Clark. Ibn 'Arabi Digital Archive Project Report for 2009 Muhyiddin Ibn 'Arabi 1165AD - 1240AD and the Ibn 'Arabi Society. Dec. 2009. Web. 20 Aug. 2010. Knysh, Alexander. Ibn 'Arabi in the Later Islamic Tradition: The making of a polemical image in medieval Islam. Albany, NY: SUNY Press, 1999. Yahia, Osman. Mu'allafāt Ibn ʻarabī: Tārīkhuhā Wa-Taṣnīfuhā. Cairo: Dār al-Ṣābūnī, 1992. Print. Yousef, Mohamed Haj. Ibn 'Arabi - Time and Cosmology (London, Routledge, 2007) (Culture and Civilization in the Middle East). Yūsuf, Muhammad Haj. Shams Al-Maghrib. Allepo: Dār al-Fuṣṣilat, 2006. Print. Wikimedia Commons has media related to Ibn Arabi. Chittick, William. "Ibn Arabi". In Zalta, Edward N. (ed.). Stanford Encyclopedia of Philosophy.